Brides, take note! 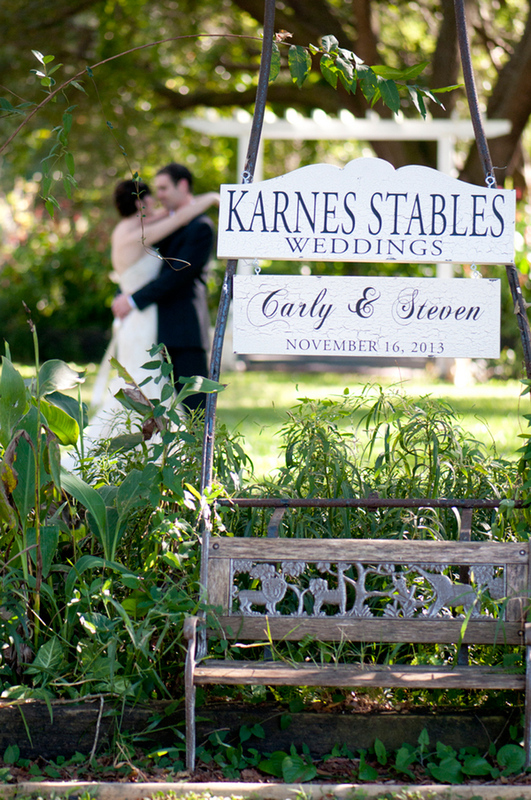 We've got a gorgeous styled shoot for you today, featuring aka photographs and Southern Elegance Events at Karnes Stables near Tampa, Florida. 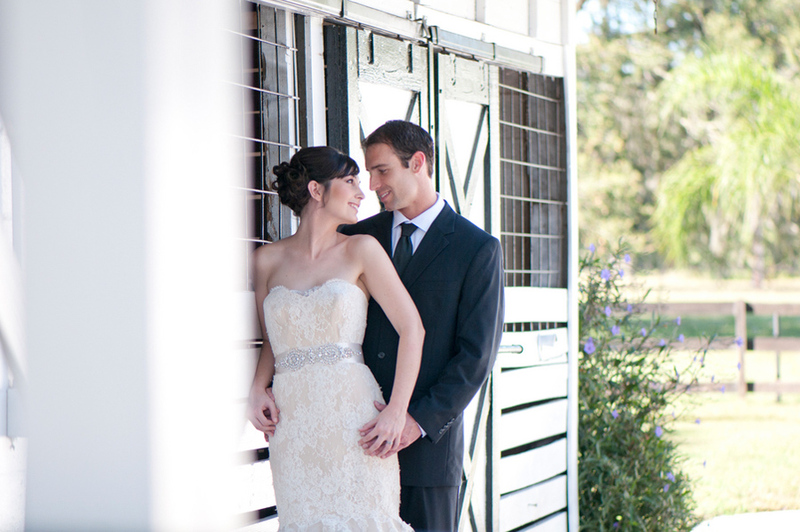 How do you do an elegant barn wedding? 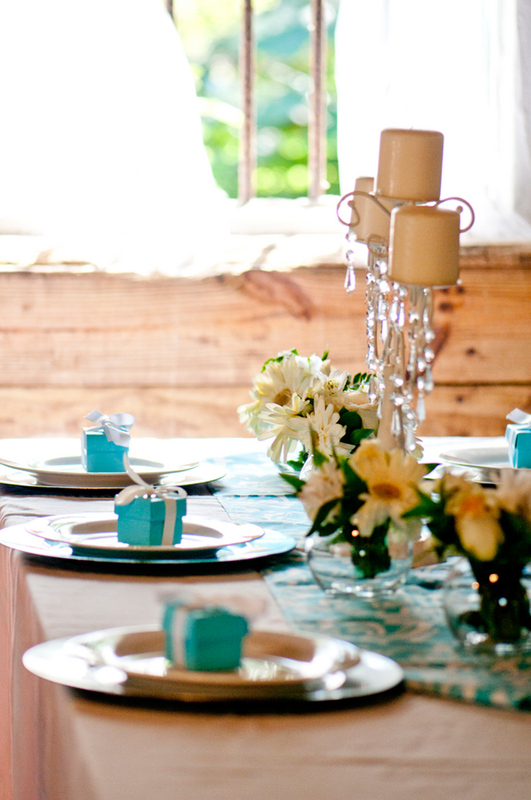 Why make it a Tiffany themed barn wedding, of course! There are many ways to glam up a barn for an elegant affair, and a Tiffany inspired wedding is so classy, and full of simple elegance, you cannot go wrong. There's something magical about Karnes Stables - dappled light, butterflies, a smattering of wildflowers, and a miniature horse. Sometimes, its not what an event designer can add to a location. Sometimes its about bringing out the beauty of where you are, and there's no time more appropriate for that than a wedding. Here, Nikki of Leonard Events wanted to keep things simple so that we could enjoy the unfettered beauty of a elegant country wedding. 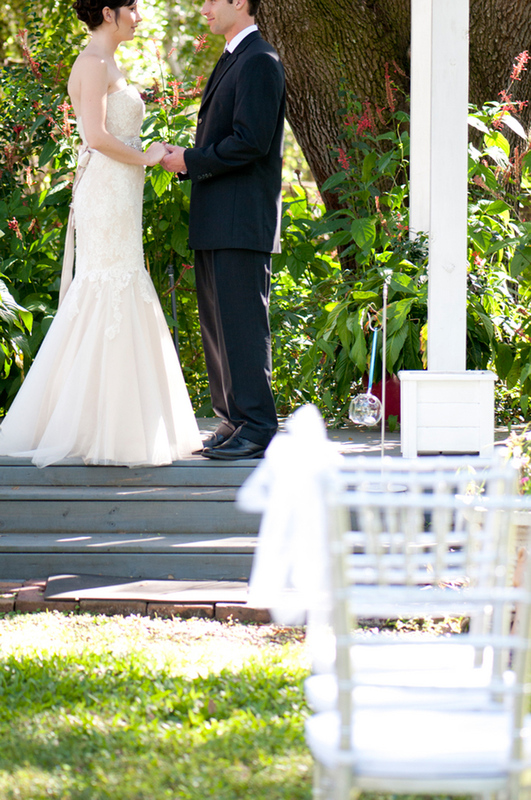 The "ceremony" location was set up on steps leading up to a simple white pergola. 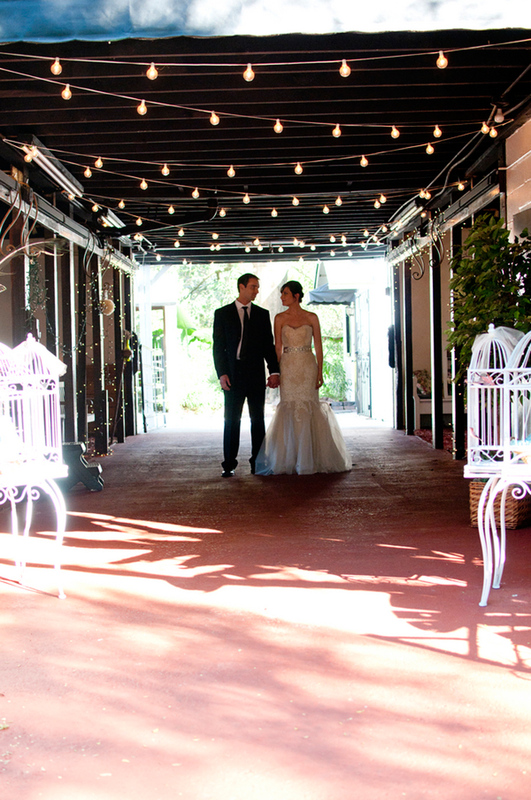 Black Tie Rentals provided silver chiavari chairs and fluffy tulle bows framed the aisle. Antique white shepard's hooks on either side of the bride and groom held tiny glass globes with a candle within. The tables were set up in the twinkling light lit barn. 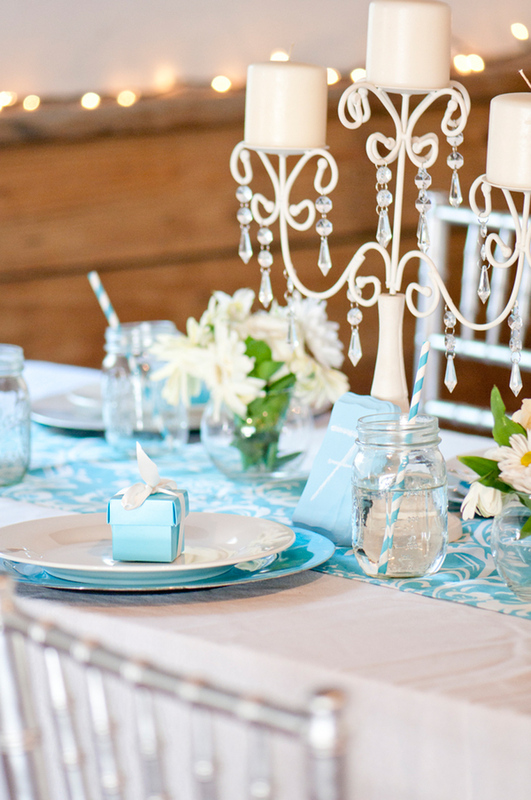 The little pops of Tiffany blue were meant to draw the eye in and emphasize the clean whites and rustic feel of the barn. The small bar area featured mason jars and ombre cocktails, with vintage buckets just waiting to be filled with ice and beverages! 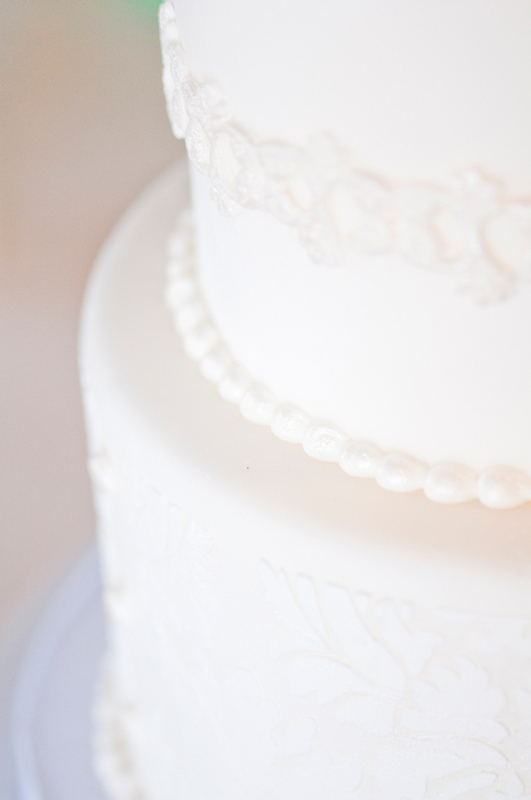 The beautiful cake by Sweet Tweets Bakery was simple with elegant and gorgeous detailing. 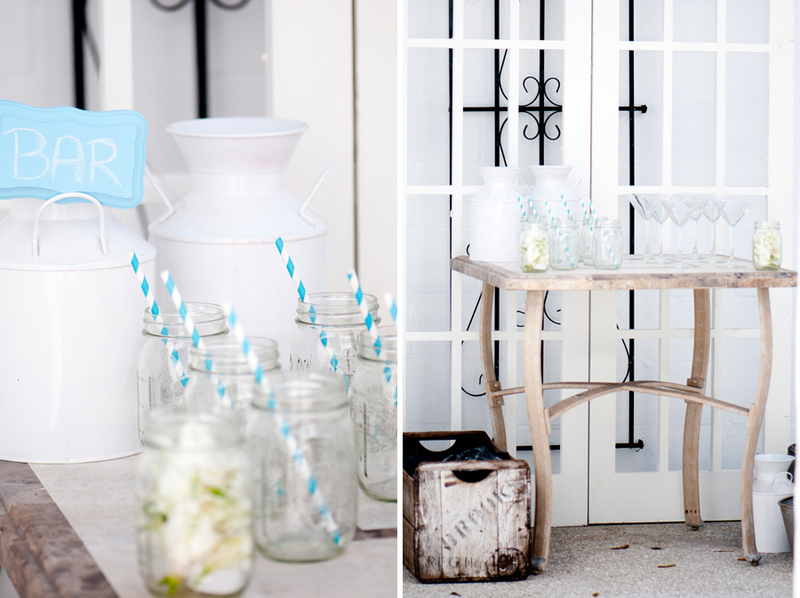 Nikki decorated the cake table with mason jars filled with flowers and a twinkling light and white milk jugs. Jessica, our model, looked gorgeous in a Badgely Mischka gown provided by the wonderful Malindy Elene, with hair and makeup by Hair by Lexi Garcia and LAC Makeup Art, respectively. Hope you can imagine yourself there. It was beautiful! This is such a lovely display of how to elegantly mix a rustic barn setting with a touch of elegance. The beautiful imagery really brings everything to life. 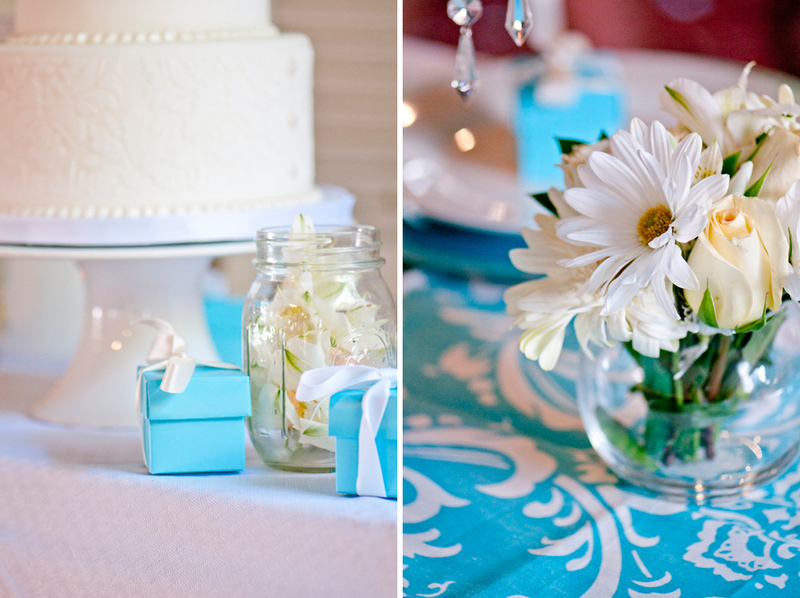 The Tiffany blue and white theme is a winner in our book. Love the touches like the ombre blue cocktails and the Tiffany inspired favor boxes. 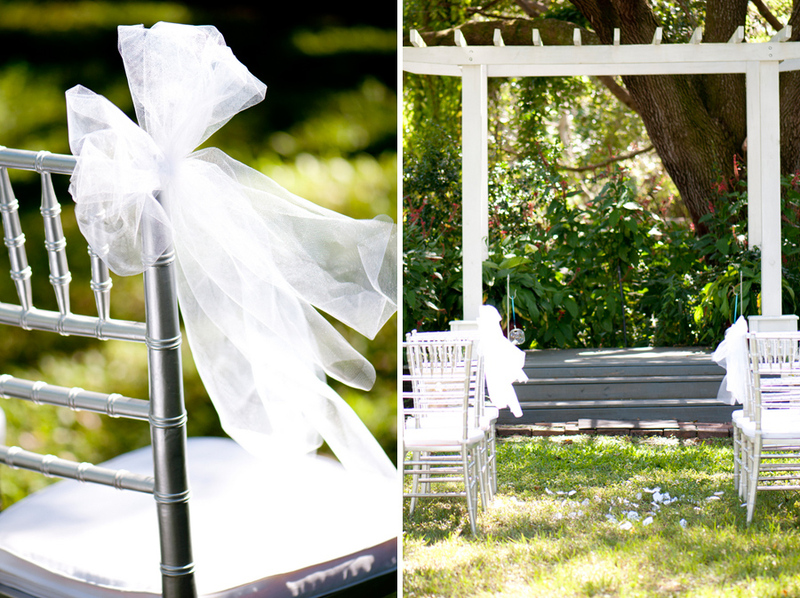 This can very well inspire a bridal shower luncheon too. 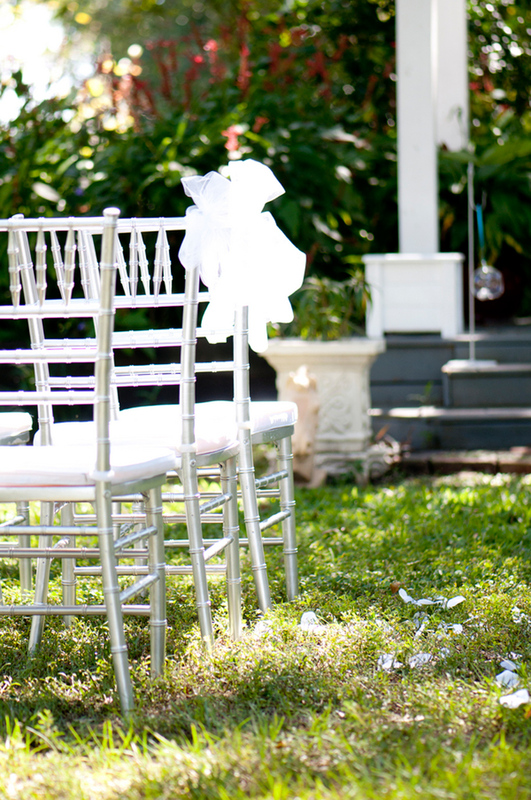 Guests are sure to ooh and ahh over this elegant theme at any wedding related event. 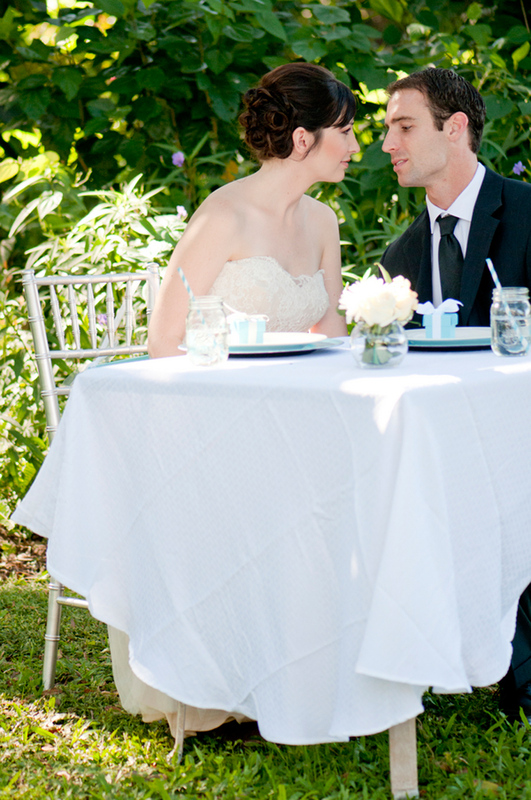 I am swooning over the Badgley Mischka dress! The way it stuns in the lighting, and just it's overall style is breathtaking. 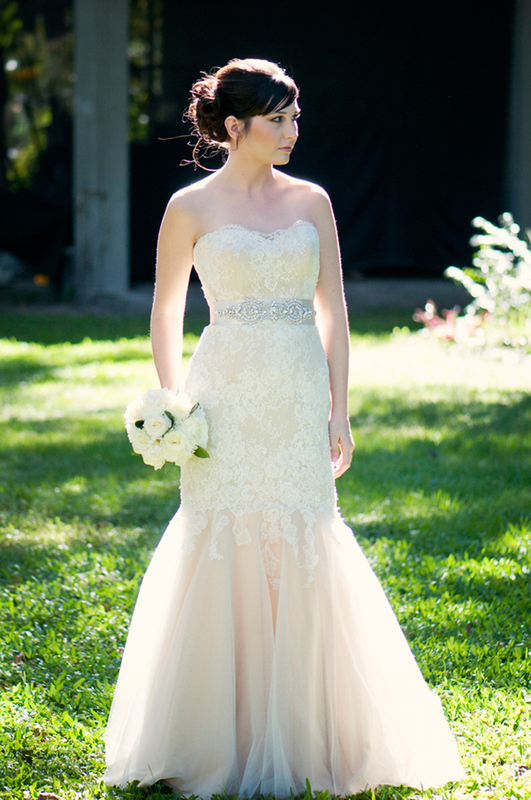 Jessica makes a gorgeous bride, and made the gown stand out with her gorgeous features. 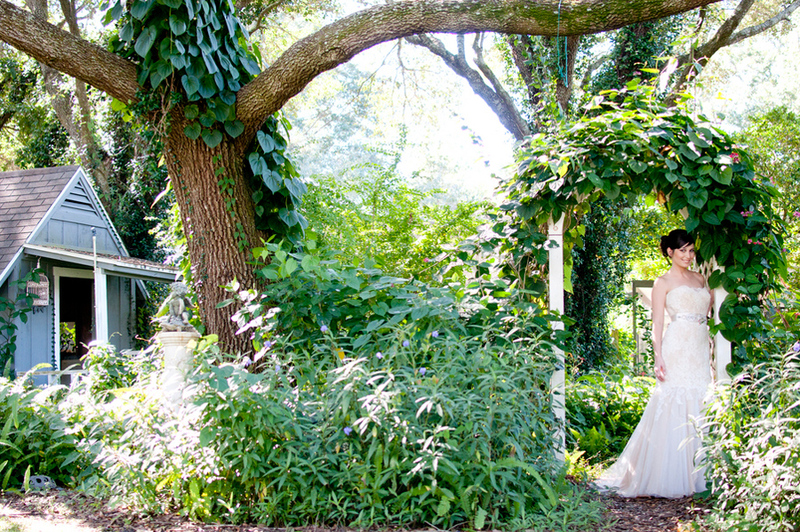 Many thanks to aka photographs for submitting to us this gorgeous inspiration shoot! 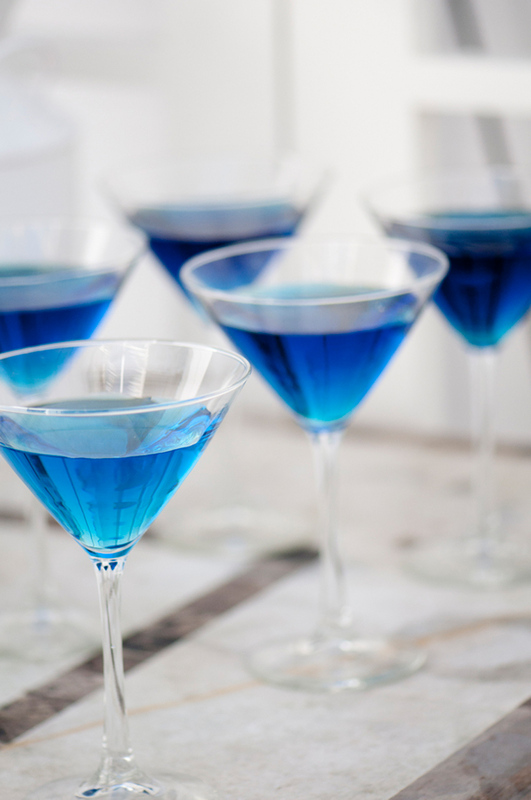 Yeah I also like the blue cocktail on the wedding. This is such a wonderful pics, and the couple is so lovely. thanks for sharing this.